2013 Creating a Jesus Culture with Our Teens! 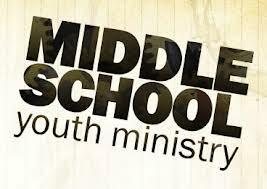 Wednesday @ 6:00 - meet in Main Auditorium (Youth Classroom) Food provided for your body and soul! We work hard to facilitate a welcoming environment for these very formative years. We have a time with just middle schoolers on Sunday mornings, where they can learn about God and grow their relationship with Him in a very non threatening atmosphere. On Wednesday's, we cultivate the growth of our youth with middle school and high school joining together for a time of fun and excitement as we learn how to incorporate Jesus in their daily lives.